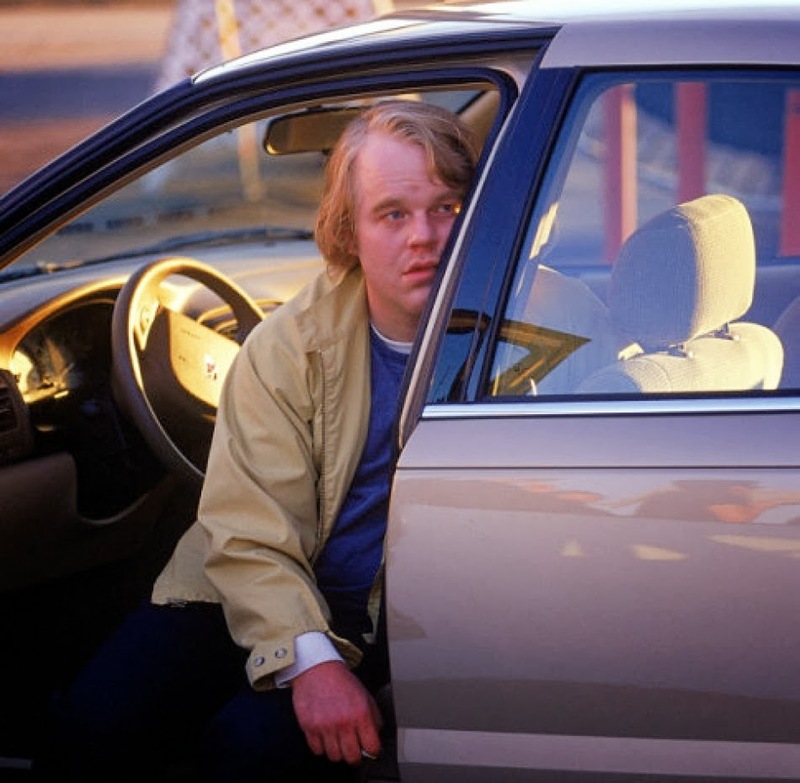 After the sad news of Philip Seymour Hoffman's untimely passing last weekend, I thought now would be a good time to revisit perhaps my favourite performance of the great actor's from a career of tremendous magnitude. Love Liza is low-key and lugubrious little-seen feature from 2002 which casts a discerning eye towards the nature of grief - how, under it's all-encompassing weight, we can often find ourselves losing ourselves and polite society, which once seemed so simple to maneuver, appears alien. Hoffman stars as Wilson Joel, a man who struggles to wear a stoic mask in public despite his best efforts. His inability to contain the grief that has enveloped him since the suicide of his wife is alarming; laughter spills out of him for a little too long, causing discomfort at work. The despair of others is not of concern to the many and Wilson is a lost soul struggling to convince otherwise. A discovery of a letter, penned by his wife before she left, may provide salvation or perhaps the opposite. As Wilson toys with the idea of opening the envelope he becomes distracted by a new hobby - the inhalation of gasoline, an intoxication to escape his sorrow, which in turn leads to actively pursuing radio controlled plane flying. Sorrow breads eccentricity to wild degrees. Penned by Hoffman's brother Gordy, Todd Louiso helms a meditative and calm film lensed with a woozy delirium to reflect both the flux of emotions Wilson experiences and the hazy sense of narcotic inebriation his character endeavors to bury himself in too. Backed by a fragile score by Jim O'Rourke, Love Liza is not just a film which astutely represents deep melancholy, and the strange relief of humour that comes with the profoundly absurd, but is one which exists as a perfect incantation of moroseness. At the heart of the movie however, and the one thing that transcends the story from touchingly bizarre to outright heartbreaking, is the presence of Phillip Seymour Hoffman who projects anger, sorrow, euphoria, confusion, and wonder with a painstaking accuracy which is occasionally excrutiatingly difficult to watch as Louiso's camera unflinchingly captures a man at the far extremes of human emotions, a soul in trouble. Knowing how Mr Hoffman's life ended makes the performance all the more extraordinary, and worrisome, and the performance often seems invasive in its intimacy. Yet, in the darkest places there is laughter as Wilson shows when he peels off his clothes to enter a lake, disrupting a radio controlled boat race. Anger ensues but, with the confidence of a man to whom nothing matters but that very moment of existence, Wilson replies: "Do you know who I am? I am a big fan of radio control." It's a sad and beautiful world. Oh my God, I love this! This is great.